The critical process of semiconductor field needs to be done in clean and dustless environment, especially for those devices should be used in high temperature, vacuum and corrosive gas environment. However, ceramics can maintain high stability in complicated physical and chemical environment. 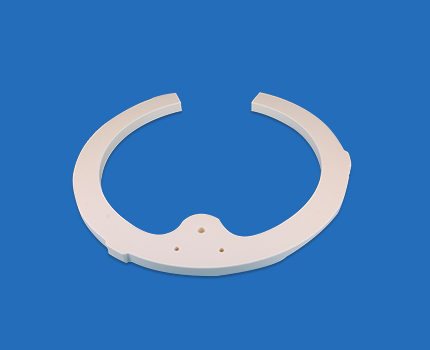 Be made of high-purity alumina ceramic and shaped by cold isostatic pressing, high temperature sintering and precision machining and polishing, the ceramic spare parts we produced can meet the strict requirements of parts for semiconductor equipment with its features of wear resistance, corrosion resistance, low thermal expansion, insulation. On the right are some of our ceramic spare parts, we can also customize according to your drawings or samples.